Although the flurry of fashion week is now behind us, I'm still obsessing over the fall trends I'll be trying in the coming months. However, as an intern here at Who What Wear and a college student just getting my start in New York City, straight-off-the-runway isn't really in my budget. So where does that leave me? With affordable, on-trend brands more accessible than ever, believe it or not, it is possible to test the latest runway trends without breaking the bank. While every fashion week guarantees countless fun trends to try out, I've assembled a list of highlights from F/W 18 that can be snapped up for $70 or less. Say goodbye to that bad case of runway envy you've been having and hello to a trendy closet makeover that won't cost you a fortune. Inspired by runways that range from Alexander Wang to Zimmermann, here are the five trends I'm going to try ASAP, all while on a college student's budget. This trend puts the "cat" back into catwalk. 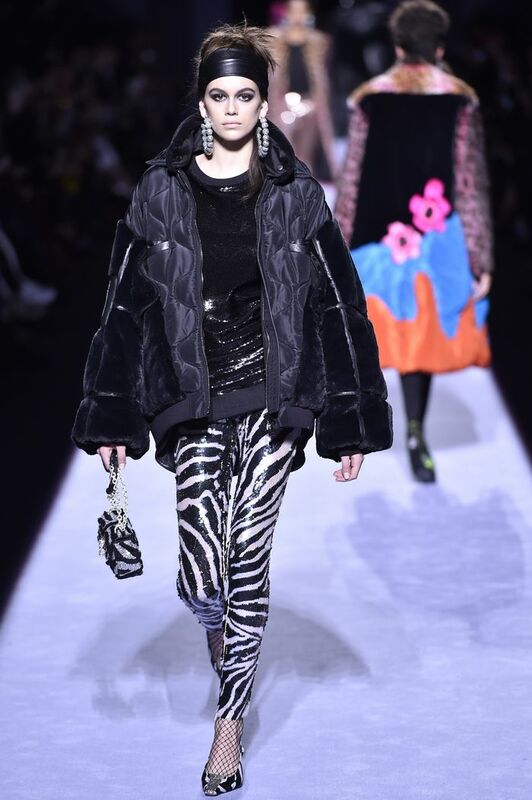 Gracing runways like Tom Ford, Adam Selman, and Roberto Cavalli, animal prints are being reinvented this season with neon colors and head-to-toe prints. Try pairing a bold leopard- or zebra-print dress with a simple leather jacket and your go-to booties for a bold yet classic ensemble. Truly see la vie en rose in this season's trending colorful sunglasses. They made a statement on the runways of Dior and Jeremy Scott, and adding a bit of color to your shades will ensure you stay on-trend this summer. With countless affordable options, this bright take on sunnies is one of the season's easiest and most fashion-forward trends. Whether you opt for a full-on pink-out or prefer going with a more mellow hue, there's no doubt that head-to-toe color is one of the season's hottest trends. From Alexander Wang to Tory Burch, the fashion world seems to agree. Keep it simple by pairing a head-to-toe colorful dress with simple kitten heels or sneakers for a dressed-up or -down look. Narrowing your purse essentials down to the bare minimum has never looked so stylish (thanks, Jacquemus). With others like Miu Miu in tow, it appears this trend is here to stay. Add a pop of color to your look with a bright, tiny bag to stay on-trend and clutter-free. What better way to accentuate your waistline and live out your Marie Antoinette fantasies than investing in this season's modern take on the corset belt? Including the likes of Zimmermann and Versace, the F/W 18 runways have taught us to add a corset for that extra cool factor. With dozens of inexpensive options, pairing this trending accessory with anything from your classic white tee to your favorite shirtdress has never looked cooler. While not all of us have the funds to fritter away on some new McQueen, we budget-conscious fashion girls now have the perfect options to stay on-trend this season. And copping these styles adds that luxury factor to our otherwise economical closets—the price is just our little secret.